By following Marks’s insights - drawn in part from his iconic memos over the years to Oaktree’s clients - you can master these recurring patterns to have the opportunity to improve your results. Cover design by Mark R. Robinson. ©2018 Howard Marks (P)2018 Audible, Inc. Even though the main premise of the book will be useful to you, the content is way too repetitive. I would have given it 5 stars if this was a short one hour book packed with wisdom. In this format I had to abandon it couple of hours before it ended. If your reading this book to understand cycles then move on. 1. Superficial history of the last 40 years in the market. 2. Buy at extreme lows. 3. Position your portfolio in a defensive posture at extreme highs. 3. Psychology is very important. That’s it!! Also the author is very smart- went to great schools. Few interesting quotes. I learned nothing!! The content of the book is actually good, and I think Mr Marks just wants to stress his points, but it ends up appearing way too repetitive. The points boils down to valuation / psychology. 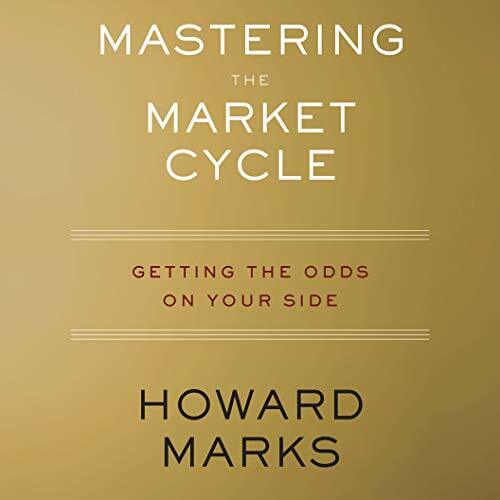 Howard Marks kept repeating the concept of cycle over and over in this book. It's all common sense, really. He then listed out few anecdotes of how they perceived the bottom of the cycle in the past. Unfortunately, the whole book lacks substance and I really couldn't get much out of it. Everything he's been talking about is just common sense and he is not able to articulate the details of his execution strategies and how to handle different situations. This book should only be 1 hour long. Please skip this book and read Ray Dalio's new book "Big Debt Crises". The PDF version is FREE on his site. The reader sounds like he's eating the whole time. The information is good but the narrator has an annoying speaking voice. He talks like he's drooling over a peanut butter sandwich the entire time. Could be much shorter, very repetitive but overall good and enlightening. Buy when markets are falling and sell when markets are sky high. This was my first experience on Audible and I am glad! I bought the printed version of the book but never found time to read It. With Audible I am able to "read" while walking or driving. Concerning the book, ir os a Just se as (or listen) for anyone interested to survive the long run in the stock Market! Mark's does an excellent job of clearly explaining market cycles and how to identify them in order to help you make better investment decisions. A lot of repetitivrness. No specific example of asset allocation in different economic regime. An example of other non-fundamental tool to gauge market sentiment, beyond p/e, p/s would be nice. 20% meat.